How to properly draw up a contract. All you need to know before signing. It is not an exaggeration: a contract in a liberalistic (legally speaking) country as Thailand, is a real Majesty. The law, since immemorial time, in any 'corpus lex' (body of laws), whose origins lay as far in time as the ancient Romans, literally recites: "A contract has force and effect of law between the parts". If it is true that in most western countries, this principle of 'freedom of contract' has been eroded over time by an overwhelming bureaucracy and unnumbered laws that 'de facto' limit the real "contractual freedom", in Thailand this liberty is still quite relevant. Consequently, and for this very reason, here, before signing any contracts, we should use double cautiousness. Even though seeking professional legal advice is in most cases advisable, you can find useful the essential points here listed, to protect your interests before signing any written agreement should you choose the 'do-it-yourself' way or in case you don't trust with full confidence your legal assistant. - make sure to clearly indicate all parts and to include a signed copy of their passports or ID cards and addresses. - always demand to sign a contract at the presence of two witnesses and to include signed copies of 'their' documents as well. - The parts must sign all pages of the agreement not just the last one. - always specify all the dates, including the "limits" of time within the contract should be respected. - Clearly specify the penalties or the consequences should one of the parts do not respected all the clauses of the contract within the agreed dates. - Always specify as many details as you can. - Specify the competent court in case of litigation which should preferably be the one where the contract has been signed or were the assets or activities are located. - Try avoiding an arbitration clause. As we wrote in our last article, 'arbitration' is generally advisable to protect the interest of big corporations (usually in order to avoid never-ending court cases), but I would not suggest to private people to subscribe to such a clause for it can become a real double-edge sword (see L'Indicateur N. "Title.........). The Thai courts of Justice are more then fine to protect you and they always seek compromises and agreements before commencing a court litigation. - remember that if a contract is written in two languages, English and Thai for example, the Thai language will prevail by law. This is, in fact, a very essential point: a contract well written in Thai, will avoid ambiguities and safe you further costs of translations, but you should always demand a certified translation in English or in the language that you understand. 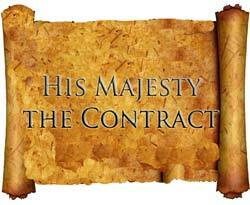 - Be sure that what you are signing is not against the law for, in this case, the contract will be null. No private agreement can be made against the law. - Avoid using pre-printed contracts. A contract is always personal and using a pre-printed one can cause you more troubles then benefits. > - In case you are asked to sign a contract proposed by a large company (for instance a condominium-developer) you would better seek the assistance of a trusted lawyer to find out if your interests are fully protected. - always pay any sum of money with traceable methods: bank transfers or checks. Never, ever in cash! If it is true that a well done contract is essential to protect your interests and your rights, (it is indeed a benchmark and master-pillar of any agreement), You should keep in mind that, as in all modern countries, in Thailand, the arbitrary exercise of your rights is strictly forbidden. You must in fact always recur to a public authority, in your case the court, to see your rights enforced. Finally remember that stop paying the sums requested or expected as specified in a contract with any excuse (for instance stop paying a rent because your landlord doesn't take good care of the garden or stop corresponding the agreed installments for the purchase of a condo or, even worse, the alimony to a wife, children etc.) such a behavior will put you in the wrong, even if you are right, and you will be in most cases considered the part in default. In other words a good contract will establish your right, but to have them accomplished by the counterpart in case of litigation or in case should one of the part miss to comply with one or more points, only a tribunal can enforce it and order a constraining action. Not you!